For courses in Instructional Media and Technology and Educational Technology. Integrating Educational Technology into Teaching is also available via Revel™—an interactive learning environment that enables students to read, practice, and study in one continuous experience. Learn more about Revel. A balanced look at theory and classroom practice that helps readers see how learning theories lead to specific strategies for teaching with technology. UPDATED: The Turn-around Technology Integration Pedagogy and Planning model (TTIPP) now emphasizes the importance of student interest and engagement through the use of turn-around pedagogy (Ch. 2). NEW: The Replacement, Amplification, Transformation (RAT) assessment framework is now part of the TTIPP model and calls for the teacher to specifically identify how the technology contributes to teaching and learning. (Ch. 2). UPDATED: Technology Integration Workshops at the end of each chapter provide readers with the opportunity to apply, evaluate, and plan lessons using the TTIPP and RAT frameworks. UPDATED: Technology Integration Examples offer numerous lesson ideas that can be incorporated into lesson planning across the curriculum. Each lesson is correlated to ISTE Standards for Students, and Common Core State Standards (Ch. 3-15). Comprehensive coverage of the educational technology field summarizing the most current research, standards, and practice for each tool and strategy available. UPDATED: All chapter learning outcomes are mapped to the ISTE Standards for Educators (2017) and example lessons reference the relevant ISTE Standards for Students (2016)–helping readers understand the most up-to-date technology standards for teaching and learning. NEW: An all-new chapter focuses on the teacher’s role as a Learner and a Leader, addressing the first two ISTE Standards for Educators (2017) (Ch. 3). UPDATED: An enhanced discussion of the way that distance education strategies are re-shaping education for the 21st century. Included are tips for choosing resources in a blended or online learning environment (Chs. 4-8). 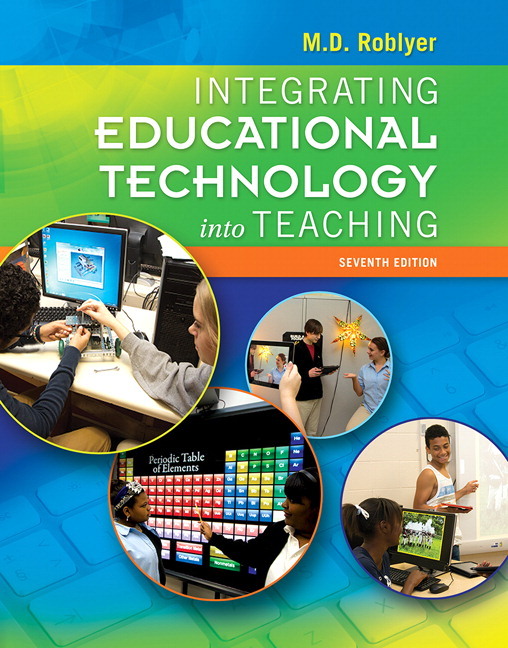 Seven discipline-specific chapters which show teachers how to use digital technologies effectively in specific subject areas: special education, English language arts, foreign/second languages, science/technology/engineering/math (STEM), social studies, music/art, and health/physical education (Chs. 9-15). UPDATED: Top Ten Must-Have Technologies, written by subject matter experts, help educators see the role that learning apps play in each discipline area (Chs. 9-15). UPDATED: Technology integration strategies for engineering are now incorporated in the science/math chapter to give new teachers a full scope of the STEM field (Ch. 12). UPDATED: Issues of digital literacy and digital citizenship are explored in discussions of advantages and challenges of web-based content. Integration of social media is also covered (Ch. 13). UPDATED: The Whole School, Whole Community, Whole Child (WSCC) model is integrated throughout the health/physical education chapter (Ch. 15). Chapter learning outcomes that are mapped to the ISTE Standards for Educators (2017) and example lessons reference the relevant ISTE Standards for Students (2016)—helping readers understand the most up-to-date technology standards for teaching and learning. 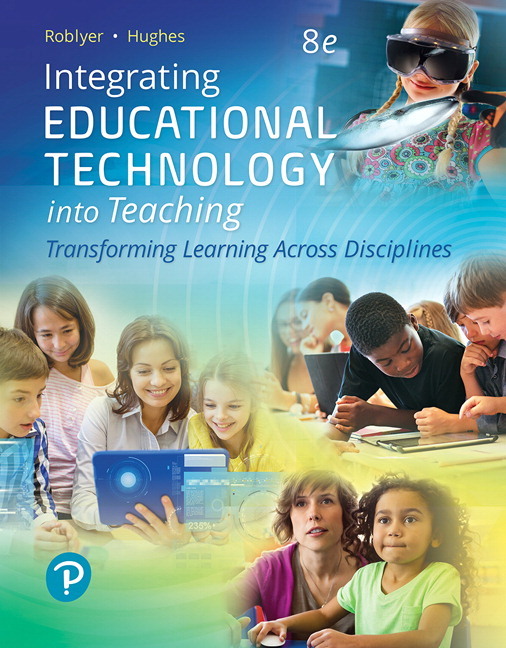 The Turn-around Technology Integration Pedagogy and Planning model (TTIPP) replace the TIP model from the previous edition, and now emphasizes the importance of student interest and engagement through the use of turn-around pedagogy (Ch. 2). The Replacement, Amplification, Transformation (RAT) assessment framework is now part of the TTIPP model and calls for the teacher to specifically identify how the technology contributes to teaching and learning. Science, technology, engineering, and mathematics (STEM) fields are now presented as integrated content areas, and a new section describes technology integration strategies for engineering to complement the science and math sections (Ch. 12). An all-new chapter focuses on the teacher’s role as a Learner and a Leader, addressing the first two ISTE Standards for Educators (2017) (Ch. 3). Technology Integration Workshops at the end of each chapter provide readers with the opportunity to apply, evaluate, and plan lessons using the TTIPP and RAT frameworks. Top Ten Must-Have Technologies, written by subject matter experts, help educators see the role that learning apps play in each discipline area (Chs. 9-15). The Whole School, Whole Community, Whole Child (WSCC) model is integrated throughout the health/physical education chapter (Ch. 15). An enhanced discussion of the way that distance education strategies are re-shaping education for the 21st century. Included are tips for choosing resources in a blended or online learning environment (Chs. 4-8). Integrating Educational Technology into Teaching is also available via Revel™–an interactive learning environment that enables students to read, practice, and study in one continuous experience. Learn more about Revel. Dr. Roblyer began her exploration of technology’s benefits for teaching in 1971 as a graduate student at Pennsylvania State University, one of the country’s first successful instructional computer training sites, where she helped write tutorial literacy lessons in the Coursewriter II authoring language on an IBM 1500 dedicated instructional mainframe computer. While obtaining a doctorate in instructional systems at Florida State University, she worked on several major courseware development and training projects with Control Data Corporation’s PLATO system. In 1981–1982, she designed one of the early microcomputer software series, Grammar Problems for Practice, for the Milliken Publishing Company. Currently, Dr. Hughes is Associate Professor of Learning Technologies at The University of Texas at Austin where she conducts research and teaches about how teachers and K–12 students use technologies in and outside the classroom for subject-area learning and how school leaders support classroom technology integration. She serves on editorial and review boards for several teaching and technology journals and has contributed to leadership of technology-related special interest groups. She is highly supportive of her students’ educational objectives and has guided 47 doctoral and 45 master of arts and master of education degree students to complete dissertations, theses, or reports.